Affirmation: I know that angels exist. 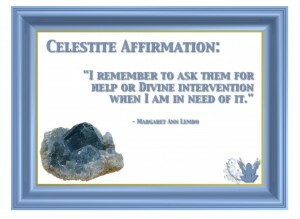 I remember to ask them for help or Divine intervention when I am in need of it. 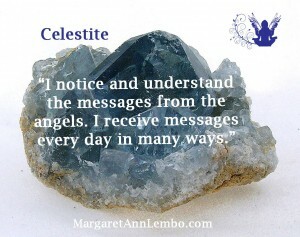 I hear, see, notice, and understand the messages from the angels. I receive messages every day in every way. I interpret the signs from above with great accuracy. Spiritual uses: Celestite is the stone of angelic or heavenly communication. 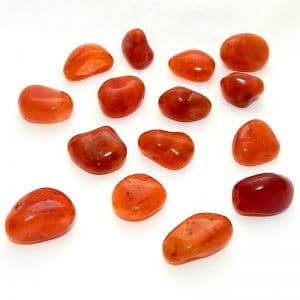 Use this stone to quickly reach the angels when you need things in your life to be a little easier. 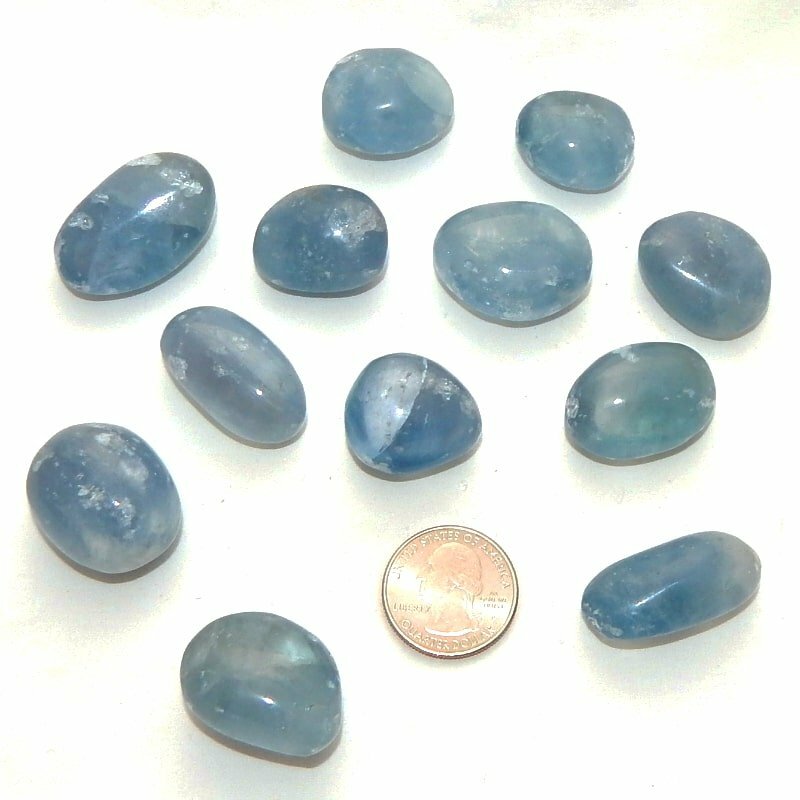 Mental uses: Celestite can be engaged with the intention of calming the incessant chatter of the mind. 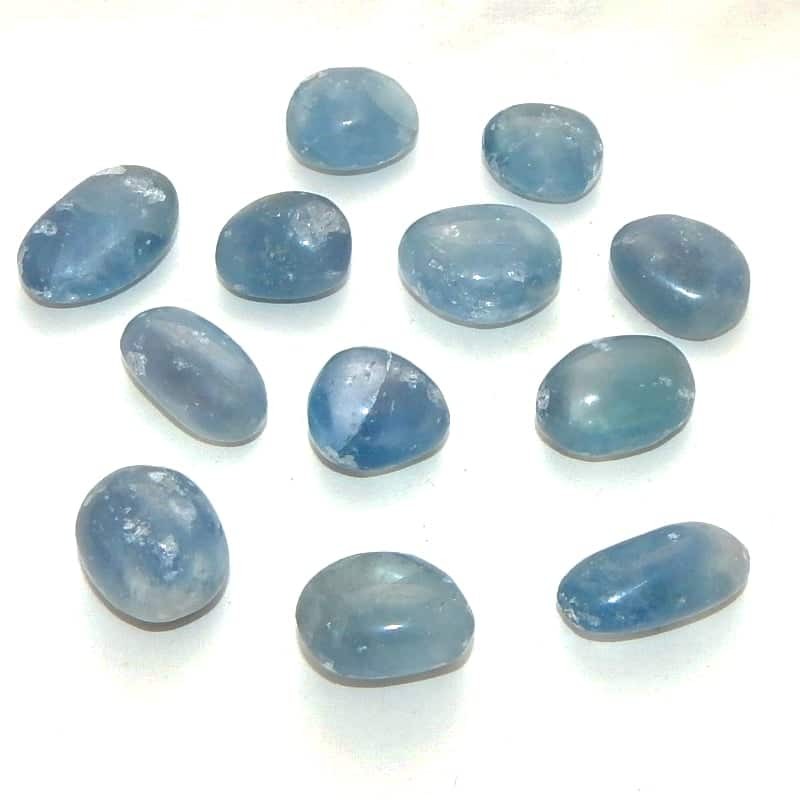 Emotional uses: Celestite brings composure to turbulent emotions. The pastel blue vibration instills a sense of peace and comfort during tumultuous emotional times. 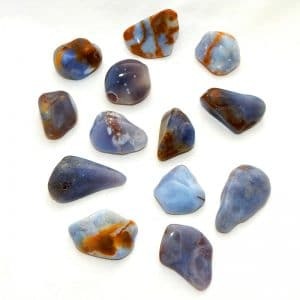 Physical uses: Celestite helps you to be truly present in your body while still being connected to the spiritual world.